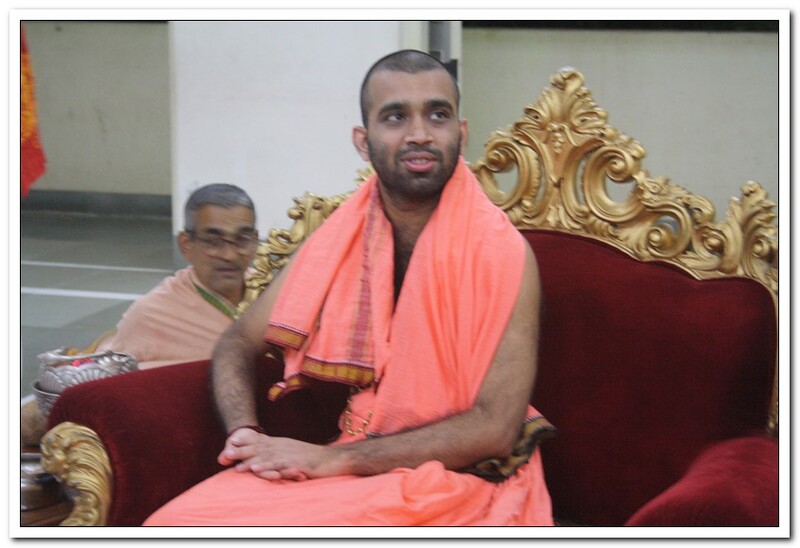 Managing committee of Dahisar Kashimutt, had invited our Bhajana Mandali to render a Bhajana Seva, on Monday 28th February 2011, between 7 to 8:30 PM, in the gracious presence of Parama Poojya Srimad Samyamindra Teertha Swamiji, patta shiya of Param Poojya Srimad Sudhindra Teertha Swamiji, Mathadhipati of Kashimutt Saunsthan. It gives me immense pleasure to state that we have achieved a “milestone” during this seva, as our Mandali was the first and only mandali to perform in the presense of Srimad Samyamindra Teertha Swamiji. Following is thhe list of bhajans,Ragas and singers..